Divination with cast or fire-cracked bones is an ancient art, stretching back thousands of years into our history; its younger cousin, the tarot, enjoys greater popularity than ever. 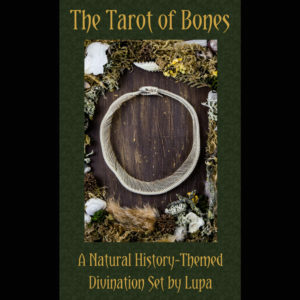 The Tarot of Bones combines the nature-inspired symbolism of animals with the tarot’s well-loved archetypes to create an unparalleled divination set for the 21st century. 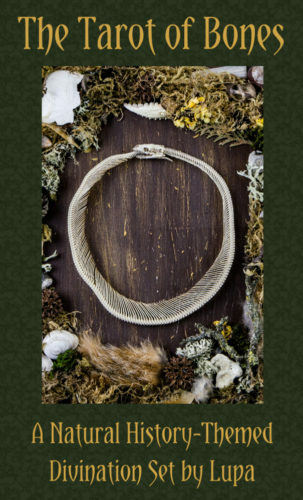 Each card features an assemblage created from bones and other natural and reclaimed materials. Self-published by Lupa of thegreenwolf.com. 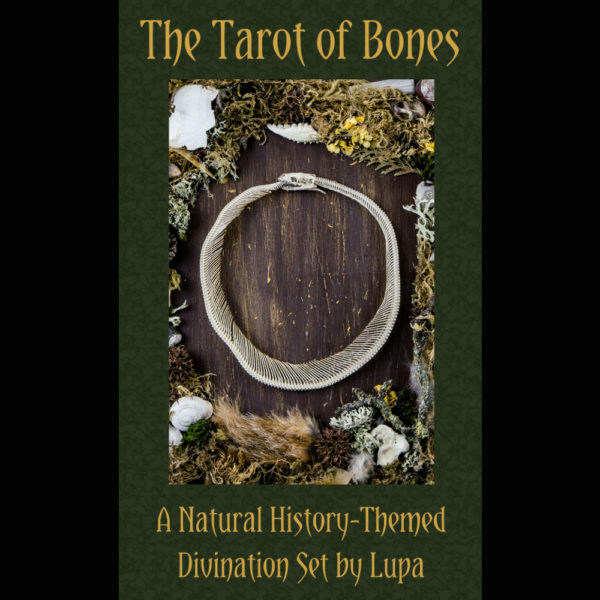 This listing is for the Tarot of Bones deck and ebook! Deck is 79 cards, including the Happy Squirrel, and tuck box. Cards are 2.75″ x 4.75″ full bleed, full color 300 gsm playing card stock. Book is 156 pages with black and white illustrations, PDF format. Please indicate in the order notes when you check out whether you would like the tuck box signed. 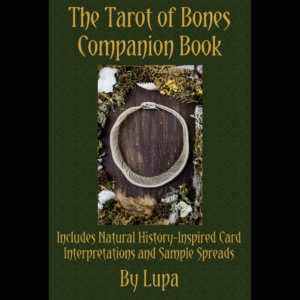 Deck will be shipped U.S. first class mail in a padded envelope, ebook will be sent to the email address associated with the order unless another address is given in the notes. Thank you for your purchase! Your friendly neighborhood Lupa really appreciates it!